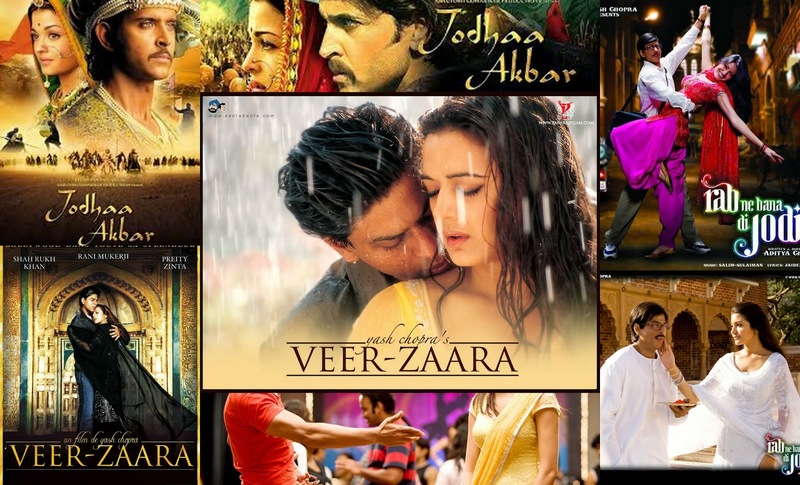 When it comes to romantic movies nothing does it for me like Bollywood movies, don’t get me wrong I still watch other movies as you can see on my blog but I always come back to these…..Firstly most of them are around 3 hours long which is awesome for days when you have nothing to do, they have great music, dancing and awesome outfits. Anyway don’t be surprised if most of the movies star Shah Rukh Khan because in my eyes he can do no wrong. I Watched this after a friend of my referred it to me a few years ago, I am pretty sure I have watched it over a dozen times. This has to be the most romantic love story I have ever set my eyes on. It’s a star-crossed romance that is set against the conflict between two countries which tests a young couples love through time. Most of the film is revealed in a flash back which doesn’t take away the ending of the movie and which I really enjoyed ‘cause it was different seeing how a person got to a specific point in their life rather than the normal story telling we used to. I would recommend this to everyone because the writing is great and I think most people who enjoy love stories would enjoy this one too. The movie is about the romance between the Muslim Mughal emperor and the Hindu Rajput princess Jodhabai. It is a story of a marriage of convenience (political arrangement) that turns into true love. It is a well written film that shows you the beauty and conflict of when two very different worlds collide. It is a combination of different love stories between different couples. There are 6 different couples from different parts of the world that end up being brought together by love and fate. Who would enjoy: Fans of Love Actually ,Valentine’s day and New Year’s Eve . Another Shah Rukh Khan movie, you really need to go watch some of his movies , they are really great. Fearing that his daughter will be alone forever due to the recent death of her fiancé , a former teacher requests his favourite student to marry her as his dying wish. It begins as a one-sided love story as Suri has been in love with Taani from the first day he met her . Taani couldn’t stand the thought of being with another man since the death of her Fiancé but their they soon form a bond through their love for dancing. Who would enjoy : Those who love comedy and romance. Great recommendations, I'm always looking for new movies to watch! Thank you Helen, i'll check it out.